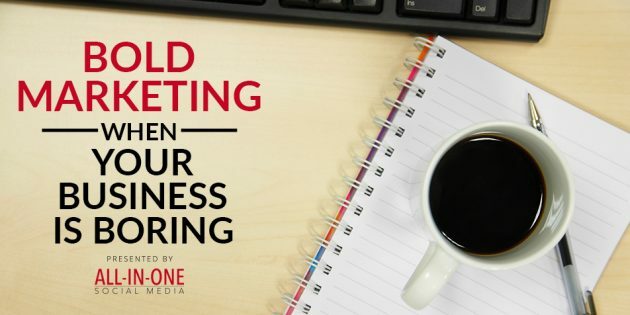 So you have a boring business? Who cares! 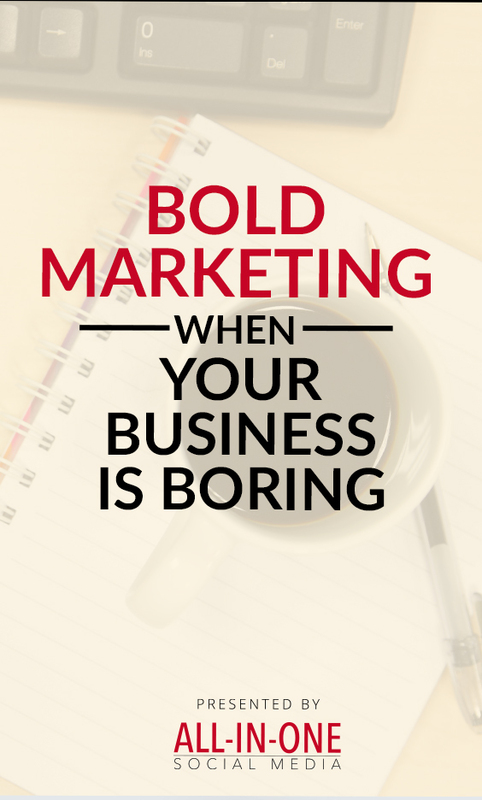 That doesn’t mean your marketing has to be boring too. I talk with Josh Steimle who has helped his fair share of boring businesses, specifically storage units, tell their story and make their boring business worth seeing in a cluttered news feed. But how can your boring business not have boring marketing? Josh helps gives some great ideas to help you stand out and add some umph to your marketing. Josh Steimle is an author, speaker, and entrepreneur. He has written over 300 articles for publications like Fortune, Time, Forbes, Inc., Mashable, TechCrunch, and Entrepreneur, and is the author of Chief Marketing Officers at Work, which contains 29 interviews with CMOs from organizations like GE, the Harvard Business School, Spotify, Target, and PayPal and was recognized in Success Magazine as one of the 5 Best Business Books of 2016. Josh is the CEO of MWI, a digital marketing firm he founded in 1999 with offices in Hong Kong, Singapore, China, the UK, and the US. Josh is a TEDx speaker and presents to business and marketing events worldwide. He is also the founder of Influencer Inc, a publishing, training, and events company that turns executives into thought leaders. Entrepreneur Magazine put Josh on their 50 Inspirational Entrepreneurs to Watch in 2017 list, Forbes recognized him as one of 25 Marketing Influencers To Watch In 2017, Josh was ranked #7 on Richtopia’s list of Top 100 Most Influential CMOs, and data from social media research firm Leadtail ranked Josh #11 on their list of People Most Mentioned and Retweeted by CMOs. Josh has been interviewed for national TV, radio, and leading podcasts on topics related to technology, marketing, and entrepreneurship, and in Asia, Josh consults with leaders in government on topics related to entrepreneurship and startups. He has held various board positions on or otherwise worked with non-profit entities related to adoption, education, entrepreneurship, economics, and government policy. Josh holds a Masters of Information Systems Management from Brigham Young University (BYU). Josh started his marketing agency while a student at BYU where he won the BYU Business Plan Competition in 2001. Josh was named the Young Entrepreneur of the Year in 2002 by the Utah chapter of the Small Business Administration. Josh lives in Shenzhen, China with his wife and two children, and is an avid reader, trail runner, triathlete, and skateboarder. He is an active member of The Church of Jesus Christ of Latter-day Saints (aka “Mormons”) and served a mission for his church to Manaus, Brazil. He is fluent in English and Portuguese and is studying Mandarin.